It's easy to add these spooky ghosts to your outdoor Halloween dcor. 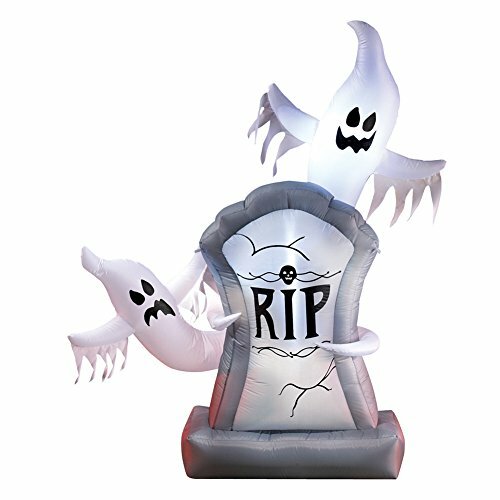 Simply plug this haunted tombstone into an AC outlet, and it automatically inflates and lights up. Includes ropes and stakes to secure it in place as well as a 60"L power cord. Polyester. Measures 48"L x 20"W x 64"H.